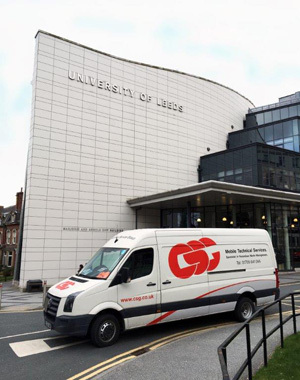 The University of Leeds has handed Fareham-based waste managers CSG a two-year contract to remove and treat all hazardous chemical waste from the university’s laboratory complex. CSG chemists will visit the university campus four times a year to list, label and pack the waste taken from faculties and services across the campus. It will be transported to CSG’s hazardous waste facility at Cadishead near Manchester where it will be treated in readiness for disposal or reuse. The Cadishead site is one of the most advanced facilities of its kind in the UK and has been developed to handle some of industry’s most hazardous by-products including waste from many of the North West’s leading chemical companies. The company recently launched a campaign encouraging facilities producing chemical waste – much of it toxic, flammable and corrosive – to detox their laboratories on a regular basis. CSG operates a mobile facility specialising in the collection and transport of packaged hazardous waste which can often present a high risk to waste producers and requires special handling. Its clients include schools and universities, research centres, government departments and pharmaceutical and chemical manufacturers.